CHICAGO (AP) — The city of Chicago says Jussie Smollett has refused to pay more than $130,000 to reimburse costs of investigating what authorities say was a staged racist, anti-gay attack. 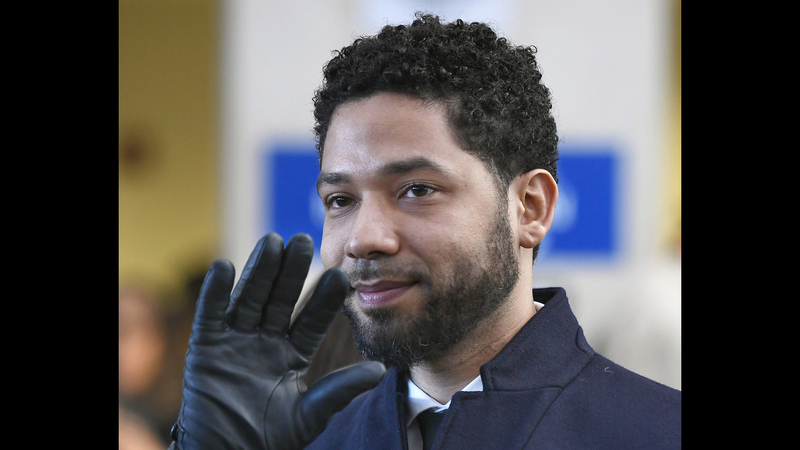 Mayor Rahm Emanuel’s law chief sent Smollett a March 28 letter demanding the “Empire” actor pay $130,106 — plus 15 cents — within seven days. Mayor-elect Lori Lightfoot, who will be sworn in as Chicago’s mayor on May 20, could reverse any legal action Emanuel’s law office takes against Smollett in coming weeks. Lightfoot will become Chicago’s first black female mayor. The handling of the Smollett case and her sometimes muddled, contradictory defense of the decision to dismiss all charges has put Cook County State’s Attorney Kim Foxx on the hot seat. Suburban Chicago police associations have added their criticism. Chicago’s WLS-TV reports that three associations representing suburban police chiefs voted to express “no confidence” in Foxx. Several police chiefs were set to hold a joint news conference with Chicago police union leaders later Thursday. Foxx recused herself even before Smollett was charged in February. But she defended a decision by her office last week to drop all 16 felony counts against Smollett, saying money was better spent on more serious crimes. WLS cited a letter from the North Suburban Chiefs of Police saying Foxx displayed a tendency to not pursue prosecutions of lower-level felonies.